For the most part, HVAC systems and the technology involved don't vary much. However, that doesn't mean that we provide canned solutions and maintenance services. Your home is different than anyone else's. We realize this and tailor our services to suit your needs. From routine maintenance services and major repairs to estimates and replacement HVAC systems, we figure out what is needed and go from there. Having exceptional technical experience and a dedicated work ethic sets Mares Heating and Air apart from other HVAC repair companies. Our crew takes pride in the work we do, focusing on the tasks at hand. You can tell by our attitude that we aren't simply phoning it in. We offer free no-obligation estimates and we recommend only the best equipment. Are you buying or selling a home or rental property? Give us a call if you are shopping for a dependable contractor. We can provide home owners, real estate agents or property managers with single services and inspections. 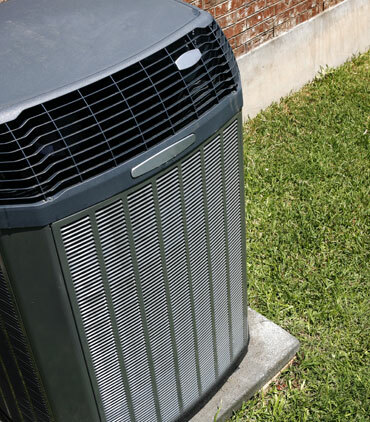 We are trained to work on all types of equipment to include Air Conditioners, Heat Pumps, Gas Furnaces, Geothermal, and ductless mini-split units. Tune-ups protect your investment, maintain efficiency ratings, avoids breakdowns and/or costly repairs, and can extend the life of your unit. Our Maintenance Plan customers can rest assured that we will keep their system running at optimal performance. They also receive discounts on repairs and equipment.